I remember the days when I was amazed with Dune 2, the first RTS game I had ever played. It had a limit of 24 (or even less??) units that you were allowed to build and really, I never felt that I needed more. Today, indie strategy game Machines at War 3 launches, allowing us to have epic battles involving 5,000 units on randomly generated battlefields, which shows just how much everything has evolved. 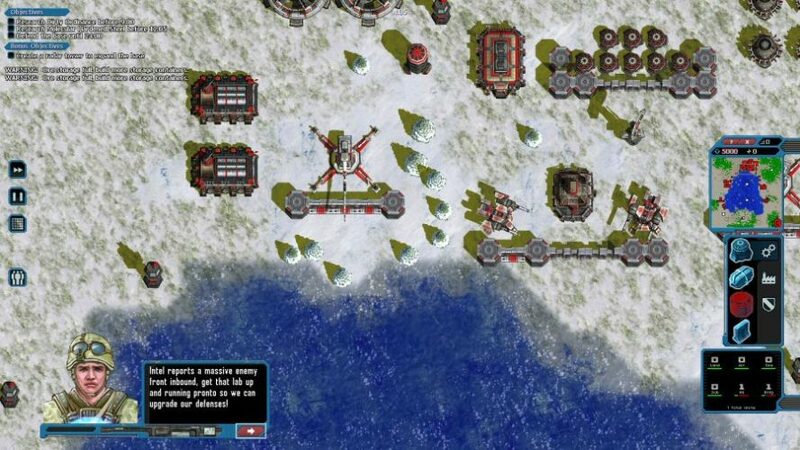 Fortunately, sheer numbers are not the only strong point of Machines at War 3 – this retro looking strategy game that makes me remember the original Red Alert more than anything also has no less than 130 units and technologies to build, a campaign mode with 21 missions and multiplayer, because nothing compares to crushing your friends’ bases on a hot Thursday afternoon. Or cold, judging from the weather outside. The game is only $19.99 and can be purchased directly from its official website. We’ll have a review on the site shortly (should’ve had it up sooner but hey, sometimes we get lazy too), so stay tuned to find out even more about this great game!